As friendly as they are cute. Intelligent, calm, and usually friendly dogs. Great at following scents when suitably trained and make great hunting companions. 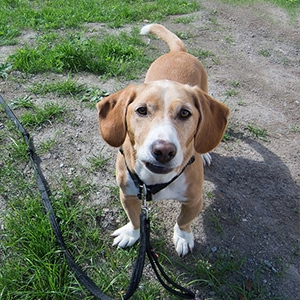 Short legs and deer hunting may not sound like they go hand-in-hand, but in the case of this scenthound from Sweden, they do! 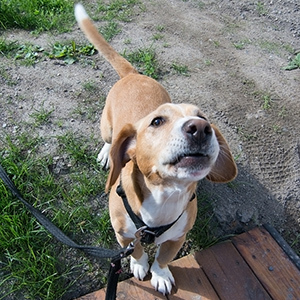 The Drever originated from the crossing of the German Westphalian Dachsbracke (a small deer-tracking hound) with other hounds, specifically to adjust to Swedish terrain and game. 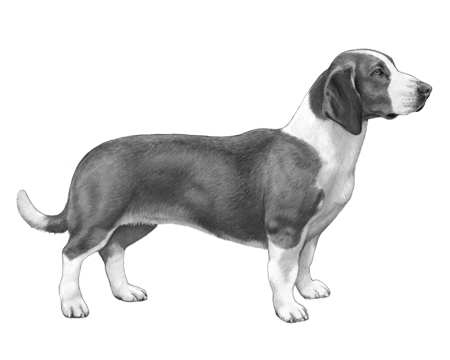 By the 1940s two distinctive sizes of the Dachsbracke had evolved and the slightly larger of the two became known as the Drever. The breed has been officially recognised by the Swedish Kennel Club since 1947. The Drever is long in body with short legs placing them fairly close to the ground for following a scent. Their appearance is robust and sturdy with well-developed muscles, but make no mistake these little guys take their job as scent hounds quite seriously and while a bit slower are quite agile and determined. The Drever coat comes in a variety of colours, including Blue Belton, tri-colour, red and white, and fawn and white. As friendly as they are cute, this breed is known for its constantly wagging tail; calm, friendly and alert disposition and its love of people.